The new Congress is now in session, so now is a critical time for our Senators and Representatives to hear from you! It’s time to fight to protect quality health coverage for hundreds of thousands of Nebraskans. If the Affordable Care Act is repealed without a replacement, then Nebraskans could lose life-saving health coverage improvements like being able to get covered even if you have a pre-existing condition, or being able to get basic screenings and treatments that most people need. Take Action on Health Care! Click here to tell us how the health insurance protections of the ACA have helped you or someone you know. Now is also the time to urge our members of Congress to stand up for hard-working young immigrant Nebraskans and their families. Tell our Senators and your Congressman they must pass a bill that allows young immigrants who qualify for the Deferred Action for Childhood Arrivals (DACA) program and their families to continue contributing to Nebraska by working, going to school, and being leaders in our communities. Fighting for the Nebraska we all want to live in starts with you, and it has to start now. Will you make a call today? 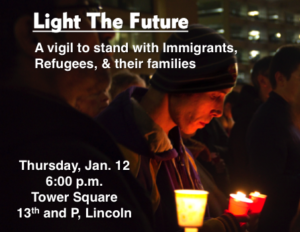 Stand Up for Immigrant Nebraskans! The 2017 Nebraska Legislative session began on January 4, and what is sure to be a heated session already is firing up. 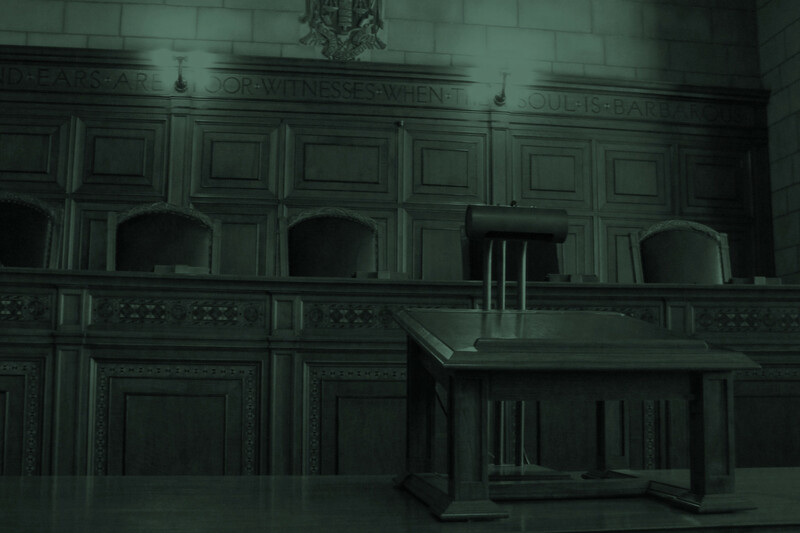 Appleseed has joined ACLU of Nebraska and Nebraskans For Civic Reform to oppose a harmful voter suppression bill, LR1CA. Governor Ricketts also has introduced a deficit appropriations plan in the form of LB 22, LB 23, and LB 24 that would make large cuts to Medicaid and other vital public assistance programs that help hard-working Nebraskans meet their basic needs. A week of action events! There is an enormous amount of passion and energy right now to be part of a movement that fights for positive change. 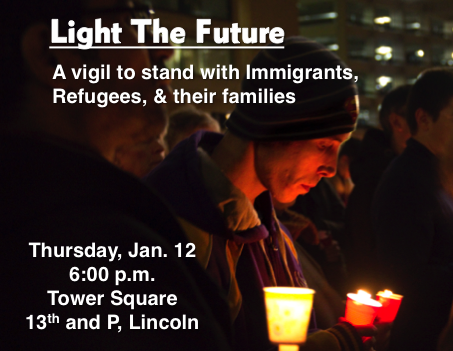 This week, there will be several chances for you to come together with other Nebraskans and show we recognize our communities are stronger when everyone has a real opportunity to succeed beginning with a vigil to support immigrant and refugee Nebraskans. 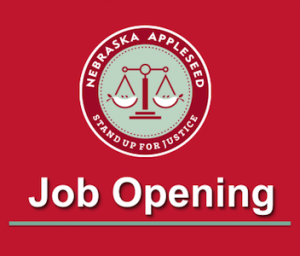 Thursday, January 12, 6:00-7:00 p.m.
Appleseed is looking to hire a Staff Attorney within our Child Welfare program to identify and develop legal and policy solutions to issues affecting Nebraska’s child welfare system. We strongly encourage people of color, members of the LGBTQ community, individuals with disabilities, and those from diverse backgrounds to apply. Click here to see more details and how to apply. Applications will be accepted through January 20, 2017.